Thanks to all for making BANG 6 a huge success! We ended up with 135 players on 34 teams. Congrats to Desert Taxi for winning the event! For those who played in BANG 6, please fill out the postgame survey. For those who didn't, join the baybang group to find out about future BANG! events. Thanks for a fun evening, and hope to see you all at BANG 7 (Date and Location TBA)! 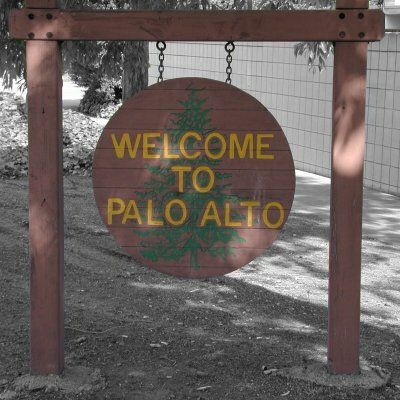 The next installment of the BANG series, the Bay Area Night Game, will be held on Sunday April 18, 2004 at the courtyard in front of the Palo Alto City Hall. Registration will open at 5:15 PM, and the hunt itself will start promptly at 6:00 PM. The starting order will be determined by a game you will be given at registration, so it will help you out to get to registration early. BANG VI WILL BE HELD RAIN OR SHINE! WE HAVE ALREADY ACCEPTED THE MAXIMUM NUMBER OF TEAMS WE CAN HANDLE. THOSE WHO HAVE REGISTERED SHOULD HAVE RECEIVED A TEAM NUMBER BY EMAIL. If you missed out this time, join the baybang yahoo group to find out about future BANG! events. The entry fee is $20 per team for those ALREADY registered by Thursday, April 15.